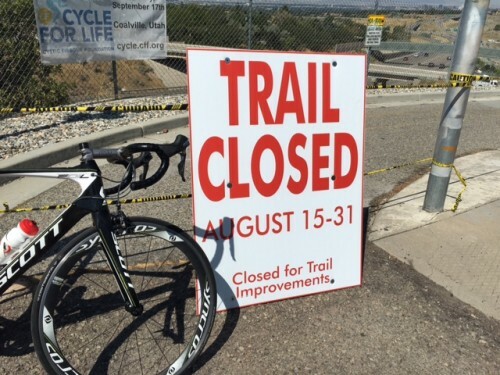 August 17, 2016 – The PRATT Trail will be closed for construction from August 15-20, 2016 and from August 29 to September 2 in Salt Lake City. This will prevent riders from crossing I-80 on the trail. 2000 East is a potential option to travel north to south across I-80. There will be concrete work being done during the week of 8/15 and asphalt work being done during the week of 8/29. There will be equipment blocking the trail and signage noting the closure.